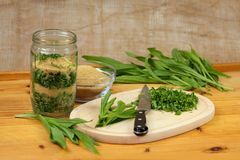 The Plantain herb, Plantago major is one of the wild herbs, which almost everyone knows, however, hardly anyone knows the name. Plantain herb is one of the medicinal plants most commonly used. This is thanks to its amazing antibiotic effect. This is due to the secondary plant material contained in plantain Aucubin, which acts as a natural antibiotic. Plantain herb belongs to the family of the plantain plants and grows on meadows, fields and along roadsides. It is a herbaceous plant that can grow up to 50 cm high and develops tiny, cream-colored flowers from May to September.The plantain herb is also eatable. Plantain is an excellent herb that can be used against various ailments. It is particularly well suited as a Cough remedy; its positive influence on the lung is well known. But this herb can also be applied chewed on fresh wounds, where it acts thanks to its antibiotic and hemostatic effect against infections and contributes to wound healing. The plantain can be used for infusion of the seeds and the plant and juice or as a tea. Plantain leaves can be used internally and externally. The internal use is mainly used to treat colds and inflammatory processes of the mucous membranes of the mouth and throat and upper respiratory tract. Plantain can be applied externally to treat inflammatory lesions, skin diseases, skin injuries and insect bites. Traditionally, one uses the plant in general to strengthen the airways. In folk medicine, plantain for centuries was used prevent coughing, ulcers around the mouth and primary wound care. Also, it is sometimes used for local hemostasis. Homeopathy uses mainly fresh plantain to treat a toothache by caries. The mucilage contained in the drug act soothing, the tannins astringent (astringent) and iridoids antibacterial. In particular, the Aucubin has inhibitory effects on the growth of certain bacteria such as Klebsiella pneumoniae, a pathogen of infections of the urinary and respiratory tract, and Staphylococcus aureus, a pathogen of skin infections, muscle diseases, and pneumonia. The anti-inflammatory properties of plantain, the Aucubin because this is probably the synthesis of certain inflammatory mediators (eg prostaglandins). 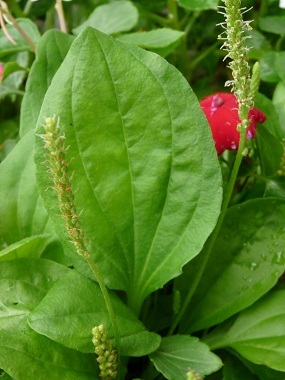 Plantain leaves also promote wound healing and have a pain-relieving effect. And if you went on long walks and have blisters or simply have insect bites, your patch grows right on the wayside: Squish the freshly picked plantain leaves just slightly, for such small fresh injuries, and place it on the sore spots or enter in your stockings. The abundant enter in your stockings. The abundant juice helps itching and swelling. The emergency patch of the meadow can help against blisters also preventively. Try it and rub it before a hike into your feet. With Plantain juice and or a finished product, such as tincture or syrup. You may pat on the wounds and use the plantain as a natural plaster. If you dilute the juice with chamomile tea, you have an effective cover for sore and tired feet. Mix 1 tablespoon of each plantain, nettle, dandelion, yarrow, and peppermint leaves together. Let sit 2 to 3 min, then strain. The leaves of plantain you can collect up to end of September, in order to produce syrup or dry them as tea herbs. 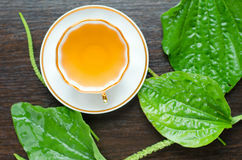 By selecting leaves from the plant center, since these have the highest potency. By selecting leaves from the plant center, since these have the highest potency. You should also do this in dry weather at low-emission points and dry the collected plant parts quickly because they easily get rotten when they try to slow. Put the plantain leaves with organic sugar in alternating layers into jars until completely full. Finish with a layer of sugar. Seal the jar and label write contents and date. Now you have to leave it about three months until the sugar has completely liquefied. Then the syrup is poured through a sieve and the leaves expressed. The finished syrup is then bottled and labeled. Use little glass bottles. This syrup is even at room temperature preserved for about a year and it can be kept in the refrigerator. For coughs, take 2-3 tablespoons a day, children 2-3 teaspoons. Most respiratory infections are caused by the viral way since antibiotics are ineffective. In this case, such a gentle therapy is just right! However, always watch out and see a doctor in case of worsening of symptoms!